Baar Crude Oil Hair Rinse is a conditioning rinse that invigorates the scalp and leaves hair smelling fresh and clean. Formulated for use after the Baar Pennsylvania Crude Oil Hair and Scalp Treatment. After massaging your scalp and hair with Pennsylvania Crude Oil, you will want to follow with our Hair Rinse to provide a refreshing cleanse. This approach to treat your hair and scalp along with using Tonic No.636 and diet was recommended in the Edgar Cayce Health Care Philosophy to help with growth of hair, hair loss, greying hair and to soften and add fullness and shine to your hair. Thoroughly massage a small amount of Hair Rinse into hair and scalp. Rinse and repeat as necessary. Follow with Olivae™ Shampoo and Olivae™ Conditioner if needed. A small amount of white petroleum jelly may be applied to condition the hair and scalp. Our custom formula promotes thick, shiny, healthy hair by bringing together the natural benefits of Crude Oil and Extra Virgin Olive Oil into one truly effective shampoo and scalp conditioner. Pennsylvania Crude Oil Conditioning Shampoo clarifies and invigorates the hair and scalp with its stimulating action at the root. This unique combination of PA crude oil, botanical extracts, along with peppermint, patchouli and olive oil nourish the hair and scalp, leaving hair soft and manageable. Olive Oil ~ Helps nourish hair and scalp to restore body and luster. Fenugreek ~ Stimulating abilities acts on the follicle of the hair. Hydrolyzed Rice Protein ~ Coats the hair shaft to help strengthen the hair fiber. Patchouli Oil ~ Helps manage oiliness in the hair and in scalp disorders such as scaling and flaking. It has antiseptic and anti-inflammatory properties. Peppermint Oil ~ Stimulates circulation in the scalp to encourage hair growth, body and shine. Edgar Cayce's most frequently recommended hair treatment was that of Pennsylvania Crude Oil. He also suggested the use of as a follow up to Crude Oil Treatments. Our Pennsylvania Crude Oil Shampoo combines these two steps into one conditioning formula for daily maintenance. For daily maintenance, lather well and thoroughly massage Pennsylvania Crude Oil Shampoo into hair and scalp with fingertips. Leave on for 1-2 minutes, then rinse. Many of our other customers use the Pennsylvania Crude Oil Treatment (#9670) and Crude Oil Rinse (#9671). Deionized Water, Disodium EDTA, Methyl Glucose Dioleate, Glycol Distearate, Ammonium Lauryl Sulfate, Laureth-4, Sweet Almond Oil, Cocoyl Hydrolyzed Collagen, Sorbitol, Butylene Glycol, Phenoxyethanol, Benzyl PCA, Panthenol, Panthenyl, Hydroxypropyl, Steardimonium Chloride, Hydrolyzed Rice Protein, Burdock Root Extract, Ivy Extract, Fenugreek Extract, Extra Virgin Olive Oil, Pennsylvania Crude Oil, Peppermint Oil, Patchouli Oil. Pennsylvania Crude Oil was mentioned many times in the Cayce Readings to stimulate and clean the scalp, improve the fullness and shine of your hair, and to help with graying hair and hair loss. It adds a rich sheen to hair while conditioning and moisturizing. It adds body to dry, brittle or damaged hair. Crude Oil may also help restore your hair to its natural condition. 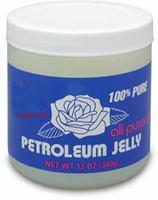 Our product is natural Pennsylvania Crude Oil taken fresh from the oil wells in Pennsylvania. This is REAL crude oil with no refinement. It will have a strong oil scent. Olivae™ Conditioner is Specially formulated with Olive Oil, Aloe Vera, Jojoba, Panthenol, Castor oil and Herbal fragrance. This light conditioner nourishes and untangles, without weighing down hair. Made especially to be used with Olivae™ Shampoo. Water, Cetearyl Alcohol, PEG-40, Castor Oil, Stearalkonium Chloride, Aloe Barbadensis Leaf Juice, Polysorbate 80, Acetylated Lanolin Alcohol, Cetyl Acetate, Olea Euroaea (Olive) Oil, Citrus Grandis (Grapefruit) Seed Extract, Hydrolyzed Soy Protein, Silk Amino Acids, Jojoba Oil, DL Panthenol, Citric Acid, Herbal Fragrance. Olivae™ Shampoo's exclusive formula nourishes and cleans, while leaving a lustrous shine. It is a rich blend of Olive Oil for nourishing hair and scalp, Aloe Vera for moisturizing and protecting, Jojoba to repair damaged hair, Panthenol to thicken and increase luster, and Protein for body and sheen. It is formulated for all hair types and has a fresh, light herbal fragrance. CayceCare Product. Water, TEA-Lauryl Sulfate, Sodium Laureth Sulfate, Lairamide DEA, Coco Glucoside, Glyceryl Oleate, Linoleamide DEA, Olive Oil, Laneth 10 Acetate, Hydrolyzed soy protein, Aloe Vera Gel, Jojoba Oil, Panthenol, Polysorbate 20, Tetrasodium EDTA, Herbal Fragrance, Grapefruit Seed Extract, Citric Acid. Great for dressing hair and treating dry scalp areas. Part of the Edgar Cayce hair care regiment. Also, excellent for removing make-up. Moisturizes rough dry skin, softens cuticles and brittle nails as well as hard callouses and helps keep feet soft. Temporarily protects and helps prevent chafed, chapped, cracked and windburned skin and lips. And yes, this is white petroleum jelly, as called for in the Cayce Hair Care readings. 12 oz jar. Vegetable Glycerine is an excellent emollient that moisturizes and restores rough, cracked and irritated skin. When used on the hair and scalp, it moisturizes dry, brittle hair and soothes dry, flaking scalp. Nature's Oleum™ Scalp Rinse is a conditioning rinse that cleans and stimulates the scalp. It invigorates the scalp and leaves hair smelling fresh and clean. Specially formulated for use after Nature's Oleum™ Scalp Treatment or Pennsylvania Crude Oil Scalp Treatment. After massaging your scalp and hair with Nature's Oleum™ Scalp Treatment or Pennsylvania Crude Oil, you will want to follow with our Scalp Rinse to provide a refreshing cleanse. This approach to treat your hair and scalp along with using Tonic No.636 and diet was recommended in the Edgar Cayce Health Care Philosophy to help with encourage hair growth, preserve hair color, and to soften and add fullness and shine to your hair. Suggested Use: Spray scalp and hair roots. Gently but thoroughly massage into scalp using fingertips. Allow to penetrate for one to two minutes. Follow with Olivae™ Shampoo or Pennsylvania Crude Oil Shampoo. Nature's Oleum™ is a scalp treatment that invigorates and stimulates hair follicles while restoring scalp health. We've formulated it to now stay on the scalp better and be applied easily and cleanly. The pump bottle makes for a controlled, easy, and accurate application to all areas of the scalp. Edgar Cayce mentioned Pennsylvania Crude Oil many times in his readings to stimulate and clean the scalp, improve the fullness and shine of your hair, and to help with graying hair and hair loss. It adds a rich sheen to hair while conditioning and moisturizing. It adds body to dry, brittle or damaged hair. Crude Oil may also help restore your hair to its natural condition. Our Pennsylvania Crude Oil is taken fresh from the oil wells in Pennsylvania. This is REAL crude oil with no refinement. It will have a strong oil scent. Step 4: Encourage naturally fuller, more lustrous hair with Nature's Oleum Hair Dressing. 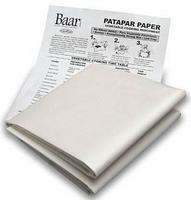 • Cooked Irish (regular white) potato skins in patapar paper to be eaten 2 or 3 times a week. Suggested Use: Gently but thoroughly massage Nature's Oleum into scalp with finger tips. Leave on for two hours, then rinse with Crude Oil Hair Rinse. If needed, follow by washing with Olivae Shampoo. Best Results if used once a week. Active Ingredients: Pennsylvania Crude Oil, Petrolatum. Warning: For external use only. Avoid contact with eyes. Test on a small area of skin prior to use. Keep out of reach of children.